If you’re a procrastinator, like me, you’re probably already behind on your daughter’s Easter basket. Don’t worry! 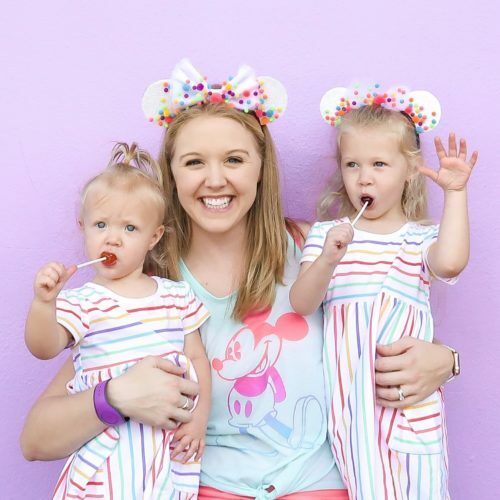 I’ve collected a whole list of awesome Disney Princess Easter basket ideas for your daughter and the best part is they are all Amazon Prime eligible for easy and quick delivery! If you don’t have Amazon Prime, click here to sign up for a free 30 day trial. My little princess LOVES to read and we are always on the lookout for new books to add to our library. These princess books are perfect for bedtime and would make an excellent Easter basket addition. My daughter is currently obsessed with Moana. If you have a little way finder too, check out these Moana themed accessories to complete your daughter’s outfit. Here’s our favorite princess dresses, soft, never itchy, free from loose glitter and machine washable! Tsum Tsums are a favorite in our household. These adorable Beauty and the Beast Tsum Tsums are perfect for play and snuggles. Has your little princess caught the Tsum Tsum bug yet? My two year old loves crafting, especially coloring and playing with PlayDough. If you want to help inspire your daughter’s creative side, check out these fun sets! If your daughter is a ‘girly-girl’ she will absolutely love this fake make-up and jewelry set. Mess free and perfect for little ones! Plus these are perfect for Easter. If you’re a DIY mama and would rather make a make-up set of your own, check out my cheap and easy pretend make-up tutorial! It’s never too early to prepare for summer! Bubbles, new bathing suit, pool towel, beach toys and more make for fun Easter basket fillers while also getting practical use this summer. 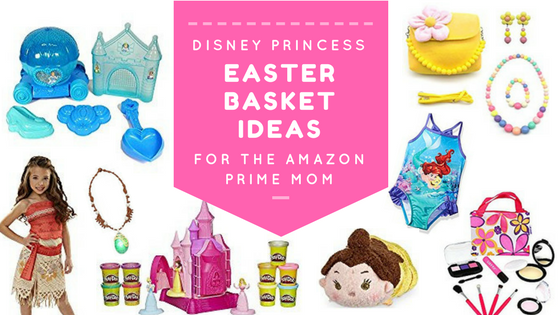 These Disney Princess Easter basket ideas for the Amazon Prime mom are perfect for my fellow last minute mamas! In need of a fun Easter egg craft for your princess? Check out these mess free DIY princess eggs. This post contains affiliate links which means I receive a commission on any products purchased at no additional cost to you. This allows me to stay home with my little princess while pursuing my passion for blogging. Adorable ideas! I love the beauty and the beast tsum tsums. Love these! I know my daughter is going to be all about princesses before I know it. For now I’ll enjoy Minnie Mouse. 😉 Thanks for linking up.